We chose the InterContinental Sydney Double Bay for a mother-daughter getaway. The hotel is in the perfect spot for a shopping spree in Double Bay’s boutiques, followed by a drink and canapés in the Club InterContinental Lounge. All of the architecture in Double Bay is stunning, from the elegant waterfront mansions to the Art Deco apartment buildings. The InterContinental Sydney Double Bay is no exception. It has a sophisticated white rendered exterior with oversized arched windows and a crisp-yet-comfortable feel throughout. 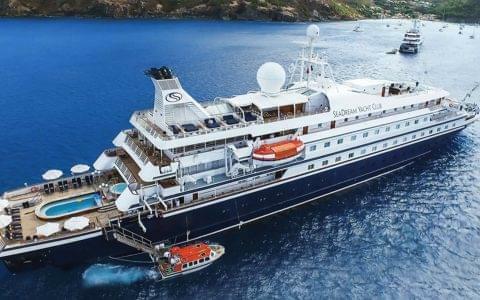 Sipping Moët & Chandon cocktails in a private cabana at the sixth-floor Rooftop bar and pool with views over the yacht-dotted bay in summer, and settling into a cosy couch at the Stillery Gin bar with over 10 variations of gin and tonic and a choice of 130 gins. The exclusive double bay address was built in 1991 as a Ritz-Carlton and had an eight-year stint as the Sir Stamford before becoming the fabulous InterContinental Sydney Double Bay in 2014. 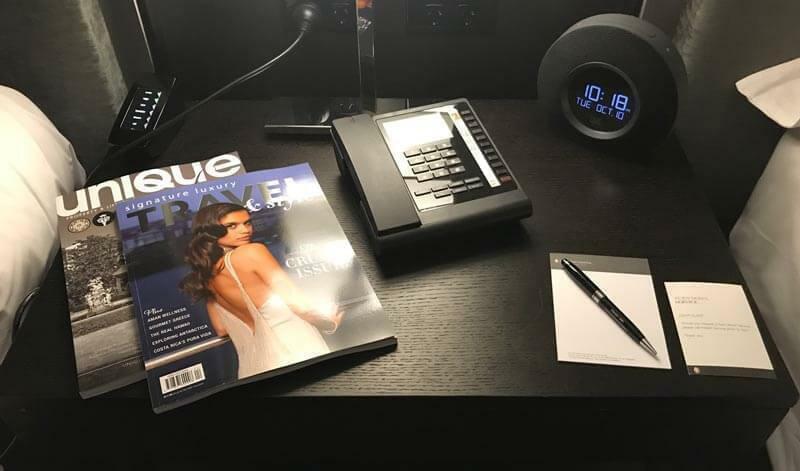 The night we arrive, the sale of the hotel to Shanghai United Real Estate Inc and Zobon Real Estate Group Co., Ltd had settled after a $140 million purchase price, the highest ever for a non-CBD hotel. The new owners will continue to run the hotel as InterContinental Sydney Double Bay. InterContinental Sydney Double Bay has 140 rooms, including 15 suites, most with private balconies, wrapped around a French provincial courtyard used as the Club InterContinental lounge . The 2014 renovation retained the building’s charm with its high ceilings, arched windows and original grand piano; these features became the centrepieces of the modern and open design. We pull into the elegant porte-cochère where a valet relieves us of our car. The lobby is located up one level via a white Italian marble staircase, decorated with a golden origami-style installation hanging above us. The Stillery Cocktail Lounge contains a mix of glam yuppies, post-work corporates and casual tourists sipping gin and tonics while enjoying the smooth notes of the grand piano. The first thing we notice is how bright the room is; there are mirrors throughout the hallway and behind the bed that flood the room with light. Electric blackout blinds operated from a remote next to the bed prevents this beautiful sunlight waking you up each morning. The remote also controls all the lights. For me this is a big tick, as I have spent far too much time in hotel rooms trying to locate all the light switches. I had an amazing sleep, wishing I could recreate that snug hotel bed feeling at home, and spent the morning appreciating the two shower heads, including a rain shower with luxurious Agraria products followed by a steaming cup of TWG tea while sitting on the balcony looking down a quaint laneway towards the bay. 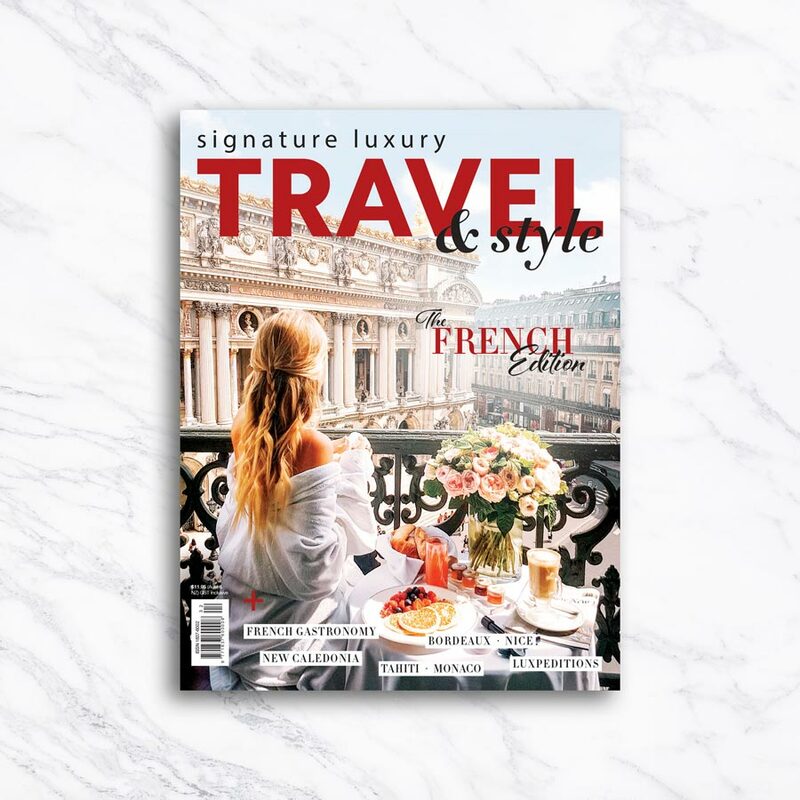 Our very own Signature Luxury Travel & Style Magazine can be found in the room along with InterContinental’s guide to Double Bay. It’s an insiders’ guide to cafes, walks, shops and a 24-hour suggested itinerary. The Royal Suite is on the top floor with four private balconies and beautiful views of the bay. The suite is grand and light-filled with a powder room, butler’s kitchen, lounge, dining, bedroom and study all with designer fittings. Stunning sunrises can be watched from the study and friends entertained around the eight-seat table in the dining room. The menu at The Stockroom Restaurant was created in synergy with the Stillery Cocktail Lounge. The Stillery has over 130 gins used to inspire dishes like the Archie Rose gin-cured salmon, gin citrus chicken and a refreshing gin and tonic tart for dessert. The spring/summer menu was released in August featuring Australian botanicals and citrus. A must-try is the Bryon Bay pork belly, with just the right amount of fat and ultra crispy skin. The Stockroom Restaurant also offers a matched gin and grazing option. Indulge in a bottle of Perrier-Jouët or choose from several varieties of TWG tea. All 130 gins from Stillery – For responsible consumption of course! The independently owned Trumps Spa offers signature massages and Hammam-style body treatments using Payot and Sodashi products. The spa was the first fully catered day spa combined with a hair salon in Double Bay with 10 hair stations, a designated manicure and pedicure area, aqua services including showers, a sauna, a steam room and a secluded spa jet and multiple beauty treatment rooms. 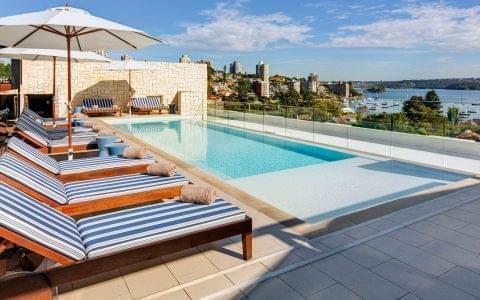 After breakfast we head up the the rooftop to relax by the 15-metre pool with direct views of Sydney Harbour. 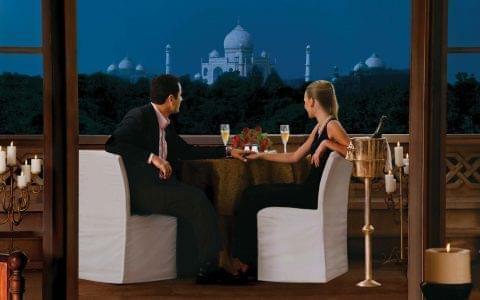 There are cosy cabanas to read a book in the sunshine or sip a Moët & Chandon cocktail. The Stillery offers a high tea experience with champagne and delicacies such as smoked trout on a brioche bun, followed by sweets such as chocolate and cardamom tart and housemade scones with whipped cream. The InterContinental guide book recommends starting your day with a breakfast bruschetta at Bar Indigo followed by a leisurely walk past Steyne Park to Double Bay wharf before catching the ferry into the city for a day of sightseeing. 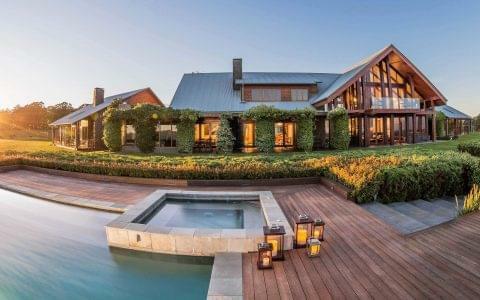 Madonna, Bill Clinton, Princess Diana, Sir Elton John, Michael Hutchence, George Bush Senior, Bob Hawke, and Jesinta and Buddy Franklin have all resided in the building. Sign up as a IHG rewards club member before your arrival to receive free Wi-Fi throughout your stay. Access is $25 per day for non-members. Depending on your point of view, the rooftop is open to the public Tuesdays through Sundays so be prepared to share the view with some of Sydney’s most fashionable socialites on weekends. For those more than happy to share, however, this could easily add to the experience. Someone would trim the trees so we could have a better view of the harbour from our room. 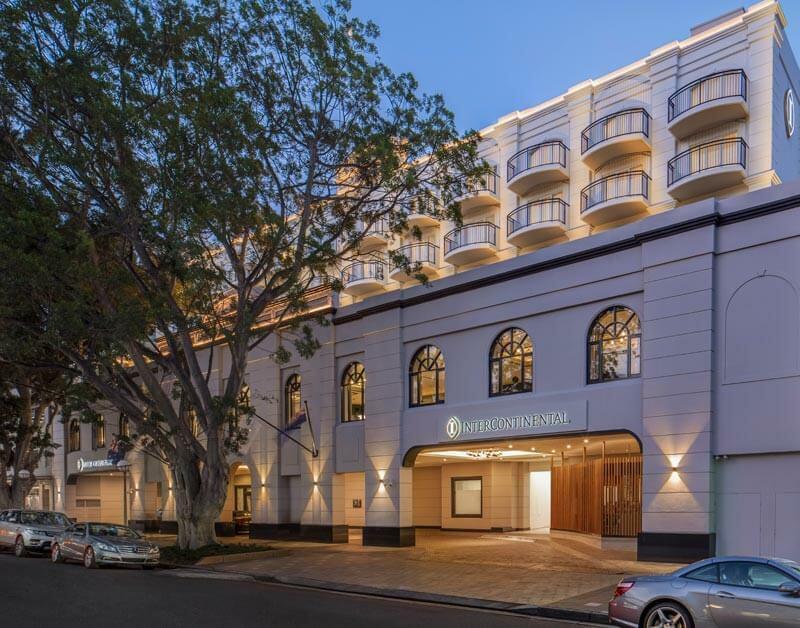 InterContinental Sydney Double Bay is easily accessible via road, train to Edgecliff Station and water, with a public wharf for Sydney Ferries and private marina just 200 metres from the hotel.